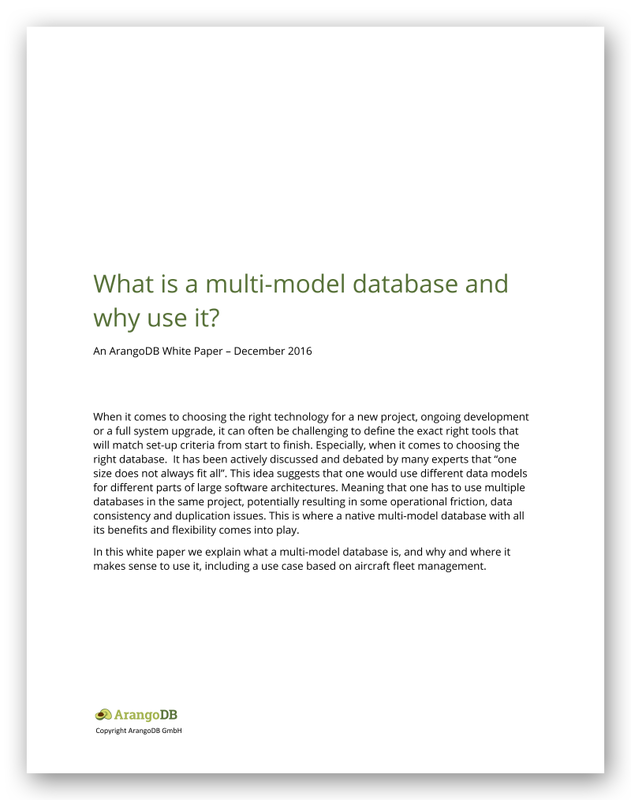 White Paper What is a Multi-model Database and Why Use It? When it comes to choosing the right technology for a new project, ongoing development or a full system upgrade, it can often be challenging to define the exact right tools that will match set-up criteria from start to finish. Especially, when it comes to choosing the right database. In this white paper we explain what a multi-model database is, and why and where it makes sense to use it, including a use case based on aircraft fleet management.